Our interest in German hotshot Julian Draxler only circulated yesterday, but merely hours after Liverpool fans began to get excited, it was announced that PSG have all but wrapped up the transfer with Wolfsburg. ESPN confirm that the clubs have agreed a €35m fee, which could rise to €45m for the World Cup winner. That kind of fee is by no means out of our price-range, especially considering we made a profit in the summer, but it appears the Champions League giants have moved faster and finalised a deal. Liverpool badly need offensive strengthening in January. With Sadio Mane leaving for the AFCON, and with the FA Cup beginning and two EFL Cup semi-final legs to navigate, we need another body, which Jurgen Klopp has admitted. Draxler would have been a nice addition, but we’ll now have to turn our heads elsewhere. And we could use PSG’s purchase to our advantage… Draxler predominantly plays on the left, but can also play at no.10. PSG always, always play 4-3-3, meaning there’s only two spots either side of Edinson Cavani in terms of attacking midfielders. That’s two positions for Draxler, Lucas Moura, Angel Di Maria, Jese, Javier Pastore and Hatem Ben Arfa. Would any of those bolster Klopp’s options? Undeniably. Di Maria has currently fallen out with manager Unai Emery, though his history with Manchester United and his struggles with Premier League life may make that move difficult. 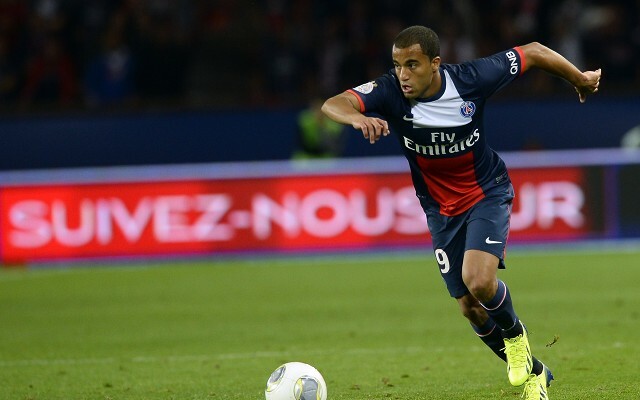 Lucas Moura would be the fantasy buy here, as his speed, trickery and flexibility make him perfect for our front-three. He’s an automatic starter for PSG right now, so would be harder to acquire. Jese hasn’t settled in France and would be a top loan signing, while Pastore is also underused in Paris, although he prefers to play centrally. Ben Arfa’s move to the French capital has been a failure too – although the talented attacker comes with a lot of baggage! We’d love Moura, but would probably take any of the others if Draxler’s arrival pushes them further down the pecking order.